Gaming phenomenons have come and gone as the years have passed, but one game has stood the test of time in terms of popularity and that is Minecraft. To this day, countless amounts of players are still jumping into build creations and Microsft continues to add more and more content. And the latest patch has just been released adding a number of new items. In this update, crossbows are making their way to the game, as well as shields that just need one iron ingot and 6 wooden planks to create. On top of that, lanterns will be joining the fray as well. Another enemy has been added as well named Pillagers. However, the new enemy is only being added to Creative Mode in this Update. 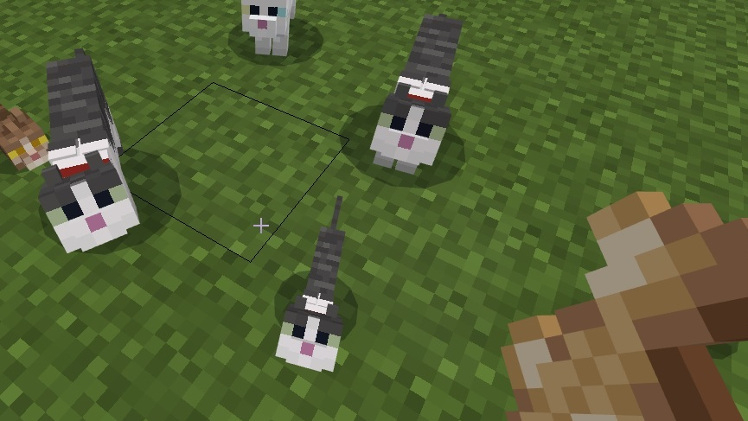 Although there have been new items added, the real star of the update is the addition of Jellie, a cat fans voted to be added into Minecraft. While Fortnite continues to dominate the video game scene and Apex Legends is growing in popularity as the days go by, Minecraft has continued to evolve and stay relevant even after the acquisition by Microsoft. It is quite impressive and doesn’t get the credit they deserve. Minecraft is available across Xbox One, Windows 10, iOS, Android, PS4, Nintendo Switch, and practically any device with a screen. If you are thinking about finally jumping into Minecraft, you can pick up the game right here through Amazon. I have to say, there might not be a better game to just sit down, relax, and just build.